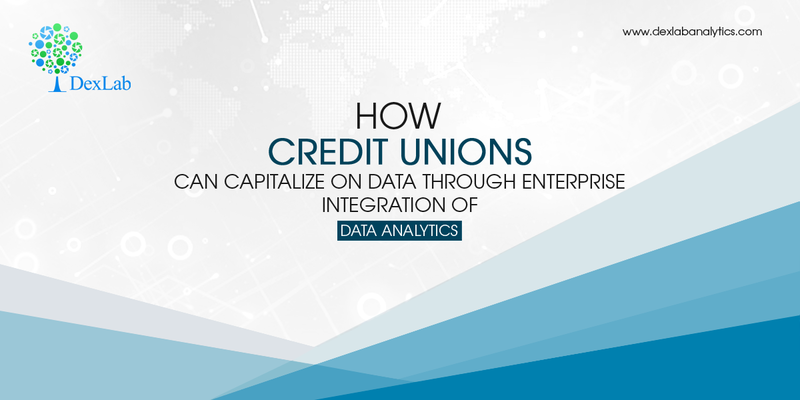 To get valuable insights from the enormous quantity of data generated, credit unions need to move towards enterprise integration of data. This is a company-wide data democratization process that helps all departments within the credit union to manage and analyze their data. It allows each team member easy-access and proper utilization of relevant data. However, awareness about the advantages of enterprise-wide data analytics isn’t sufficient for credit unions to deploy this system. Here is a three step guide to help credit unions get smarter in data handling. A robust and functional customer data set is of foremost importance. Unorganized data will hinder forming correct opinions about customer behavior. The following steps will ensure that relevant data enters the business analytics tools. Integration of various analytics activity- Instead of operating separate analytics software for digital marketing, credit risk analytics, fraud detection and other financial activities, it is better to have a centralized system which integrates these activities. It is helpful for gathering cross-operational cognizance. Experienced analytics vendors should be chosen- Vendors with experience can access a wide range of data. Hence, they can deliver information that is more valuable. They also provide pre-existing integrations. Consider unconventional sources of data- Unstructured data from unconventional sources like social media and third-parties should be valued as it will prove useful in the future. Continuous data cleansing that evolves with time- Clean data is essential for providing correct data. The data should be organized, error-free and formatted. Analyzing the growth and fall in customers depending on their age, location, branch, products used, etc. Age distribution of account holders in a particular geographic location. Determine the different types of accounts being opened and figure out the source responsible for the highest transactions. Important decisions like growing revenue, mitigating risks and improving customer experience should be based on insights drawn using analytics tools. Hence, accessing the data should be a simple process. These following user-interface features will help make data user-friendly. Dashboards- Dashboards makes data comprehensible even for non-techies as it makes data visually-pleasing. It provides at-a glance view of the key metrics, like lead generation rates and profitability sliced using demographics. Different datasets can be viewed in one place. Scorecards- A scorecard is a type of report that compares a person’s performance against his goals. It measures success based on Key Performance Indicators (KPIs) and aids in keeping members accountable. Automated reports- Primary stakeholders should be provided automated reports via mails on a daily basis so that they have access to all the relevant information. Data analytics should encompass all departments of a credit union. This will help drawing better insights and improve KPI tracking. Thus, the overall performance of the credit union will become better and more efficient with time. Technologies that help organizations draw valuable insights from their data are becoming very popular. To know more about these technologies follow Dexlab Analytics- a premier institute providing business analyst training courses in Gurgaon and do take a look at their credit risk modeling training course.